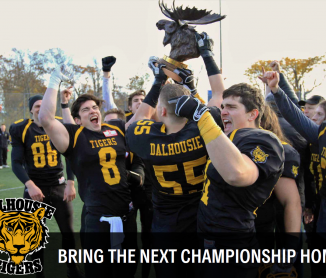 Vice President Dalhousie Football, two-year captain, and offensive lineman. Currently a MSc. Pharmacology student at Dalhousie Medical School.